There is so much in the media at the moment about the difficulties experienced by young people who want to get onto the property ladder. A recent survey by interiors firm Hillarys showed that 94% of people questioned stated that the reason they did not own their own home was down to the cost of purchasing being too high. So it all boils down to affordability. The gap between house prices and young people’s wages is too wide, unless they have a very significant deposit. Of course, the Bank of Mum and Dad often comes to the rescue, but not everyone has that advantage. However, if you think laterally, getting on the property ladder is actually relatively easy and most people should be able to do it. But we’re not talking about the owner/occupier property ladder where you purchase a property to live in, we’re referring to the BTL property ladder – a different ladder for sure – but still one where you can start to enjoy the benefits of property ownership. This approach is being taken by more and more young people, particularly in London and the South East, where property prices are traditionally higher than elsewhere in the UK. They cannot afford to buy where they live, but they can purchase somewhere a bit further afield if they decide to go the BTL route. It is a lot easier to get onto the BTL property ladder for a number of reasons. Residential lending is based on an individual’s salary and you can typically loan up to 5 times your salary. However, BTL lending is based far more on the amount of loan the rental income of the property will support. 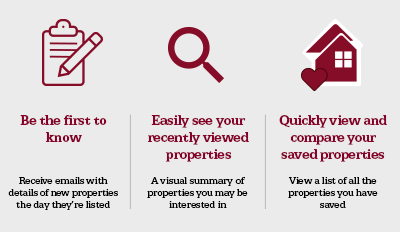 To access BTL mortgages, you need to meet the following criteria. iii. Be on the electoral roll somewhere in the UK and it helps if you have lived at the same address for more than three years. iv. If you are self-employed, you will need to be able to show 2 to 3 years accounts. Buy to let deposits are typically higher than residential ones, but, if you are buying a less expensive property, then the deposit could be more affordable. So, as an example, if you purchase a property valued at £80K, you would need to put in a deposit of 25%, which is £20K. However, if you purchased a property valued at £350K on a residential mortgage, and were required to put in a lesser deposit of 15% (provided that your income supported the borrowing), then you would require a financial input of £52, 500. There there are the stamp duty charges on top of that, which would obviously be lower for a less expensive property. If you were able to get onto the property ladder, the net income from your BTL property could assist in building your deposit and, over time, it is possible that you could benefit from capital appreciation of the rental property, where, at a later date, equity from that could be put towards a deposit for your own home. It is important to understand that you would never be able to live in your BTL property yourself, unless you changed the BTL mortgage to a residential mortgage, which would again be based upon affordability. Whilst buying a property outside of your home area and local knowledge does increase the risk, there may be an area of the UK where you have family and/or friends who can keep an eye on it for you, and visit your rental property if needed. As you will not be in the local area itself, it makes sense to have your BTL property managed by a professional and compliant agent like ourselves, here at Northwood. In fact, we like to get to know our prospective landlords in the acquisition phase, when they are actually looking for a suitable property to invest in, as we can advise on the best areas, where to achieve the best rental yield etc. We may even know of a landlord who is selling up, meaning you can purchase a property with a tenant in situ. This takes a lot of the research and risk out of the acquisition, as you will be able to look at the track record of the tenant’s payment history, see how the tenant is treating the property, and also, and most importantly, earn income from day one of ownership. So if you think, like many Brits do, that being on the property ladder is something you will never achieve, we hope this blog has given you food for thought? To explore this possibility further, contact the Northwood office of the town or city you are thinking of investing in. We have over 80 offices conveniently situated around the UK and all our agents are happy to advise on the local property market and the types of areas and properties that make for a sound investment. Just ring up or pop in for a cuppa and we can talk all the options through with you. Finally, if you think that being a landlord is not your cup of tea, then bear in mind that we offer a Guaranteed Rent service, that means that your rental payment would be guaranteed to be paid on time, whether there was a tenant in situ or not, or the tenant stopped paying the rent. Guaranteed Rent offers landlords complete peace of mind and it can often be the deciding factor in whether you are going to take that important step onto the BTL property ladder.